Package includes twenty (20) wireless instruments to beautifully splash color on the walls and ceiling. LED lights do not get hot to the touch, so they are safe anywhere. Wireless boxes ensure ease of placement (and no ugly cables along the wall!). Choice of 50 colors. They can remain the same color(s) the entire night, or they can be programmed on a slow fade. If you want, later into the night, they can flash different colors to add to the dance party! 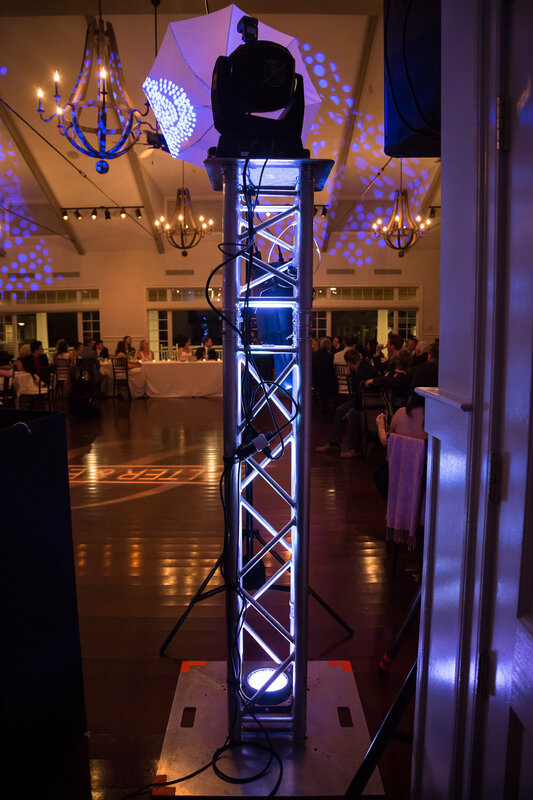 Package for lighting effects for the dance floor includes two tall aluminum trusses, and attached to it are two moving head lights and two scanners with rolling shapes and colors and two strip lights. If desired, we can add laser lights for no additional charge. 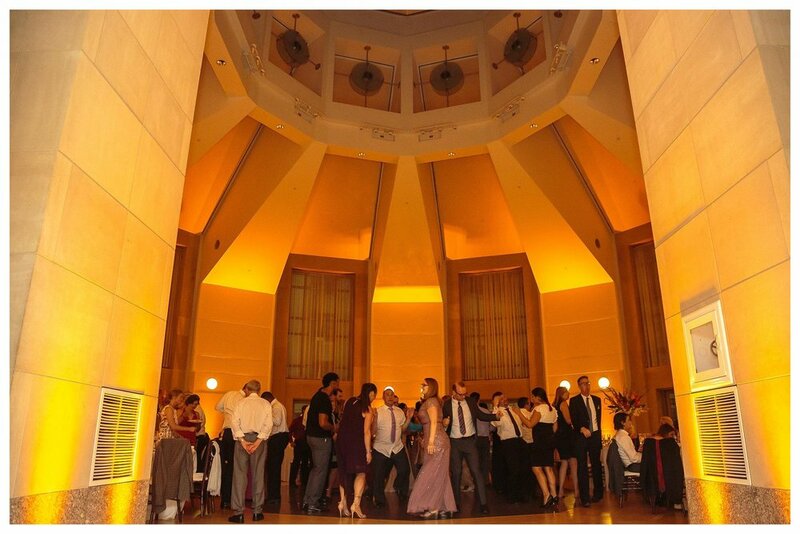 During dinner and first dances, the two moving heads can tastefully wash color on the ceiling. 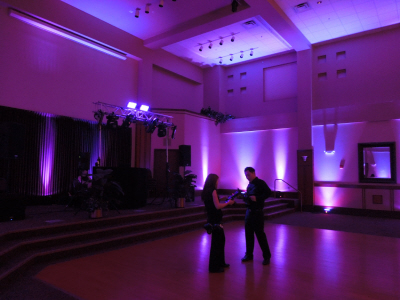 Then when the dance party gets started, these dance lights create a party-like environment for the dance floor! 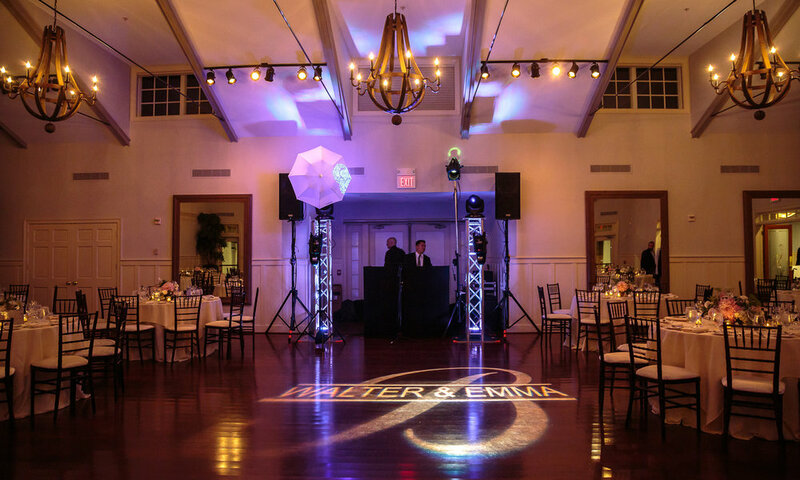 Package includes five (5) wireless instruments that can be used to beautifully highlight a special place, such as behind or under the sweetheart table or cake table. 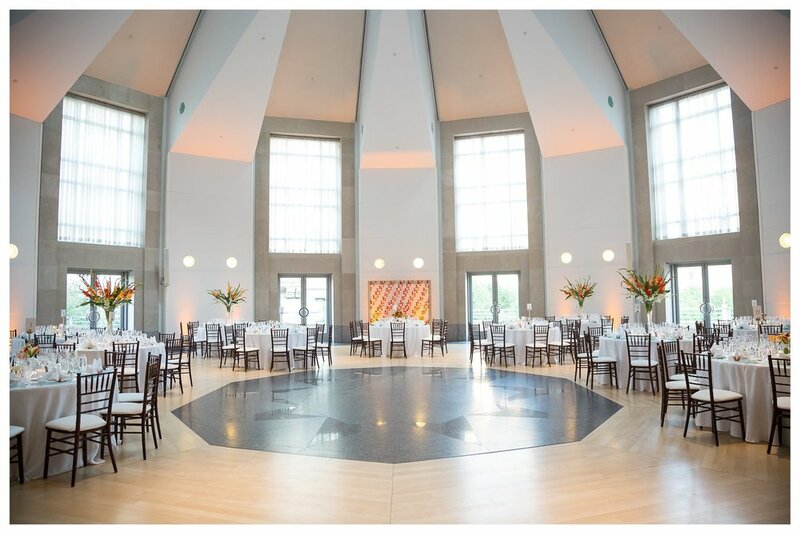 They can also be used for an indoor ceremony to create a beautiful ambiance. Frequently referred to as accent lighting. Pin spots are "mini spot lights" - very mini. Each light is about the length of half your forearm. These lights are wireless and can be used to highlight the cake, sweetheart table, centerpieces, etc. The lights are easily hung in discreet areas around the room, and are then focused onto the spot that is being lit. If you are using up lighting, it is highly recommended to also use pin spots, especially for your cake table. Monogram includes a special light to project your image onto the wall or floor. Typically this image will be initials and date, or names and date. We have a large electronic library of images for you to choose from, or you can give us your own design. We can work with anything! For example, one couples' monogram matched the image on their wedding cake, so the design actually came from the bakery. Once we have a design, we send the image off to be fabricated. First, you are given two proofs to review, before the gobo is etched. The gobo is about twice the size of a silver dollar. At the end of the night, you get to keep the gobo in its special box, to use for a future anniversary party or to make into an ornament!